In the early 1920s, Otto Dix determined to make a name for himself. Saying, “I will either become notorious or famous,” he challenged artistic conventions, painting subjects considered ugly or taboo in a realistic manner that became known as the Neue Sachlichkeit (New Objectivity). 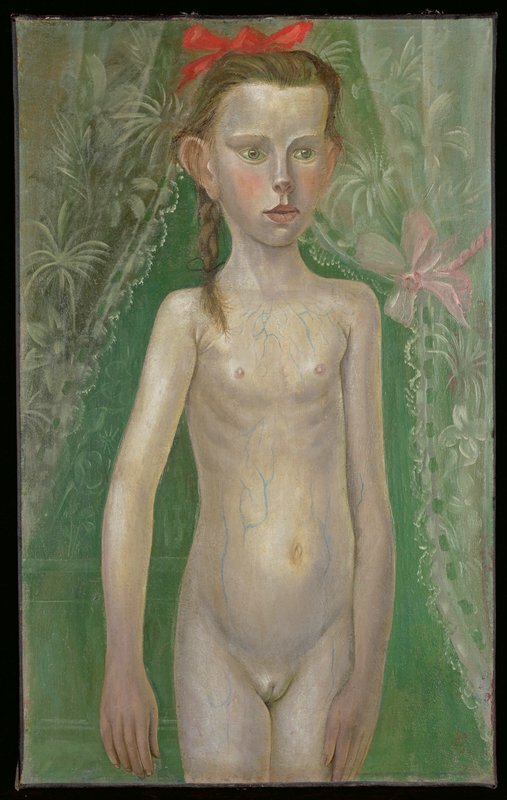 Here, a young naked girl is depicted in an uncomfortably close and realistic manner, her blue veins recorded with unsettling accuracy. Yet the portrayal is matter-of-fact rather than provocative; she has an innocence devoid of shame about her natural state. Possibly Karl Nierendorf, Cologne, Germany by 1924. Donald and Elizabeth Martin Winston, Los Angeles, California by 1975; gift to MIA in 1975.